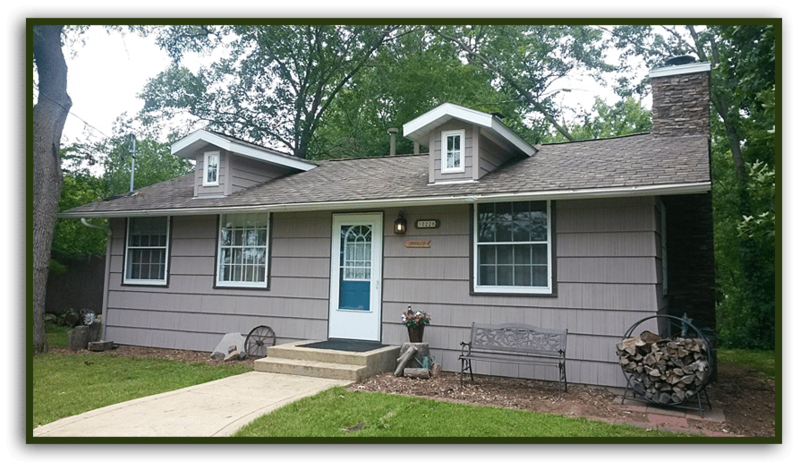 Wisconsin River Retreat – A Getaway Place | Unwind – Relax – Enjoy! 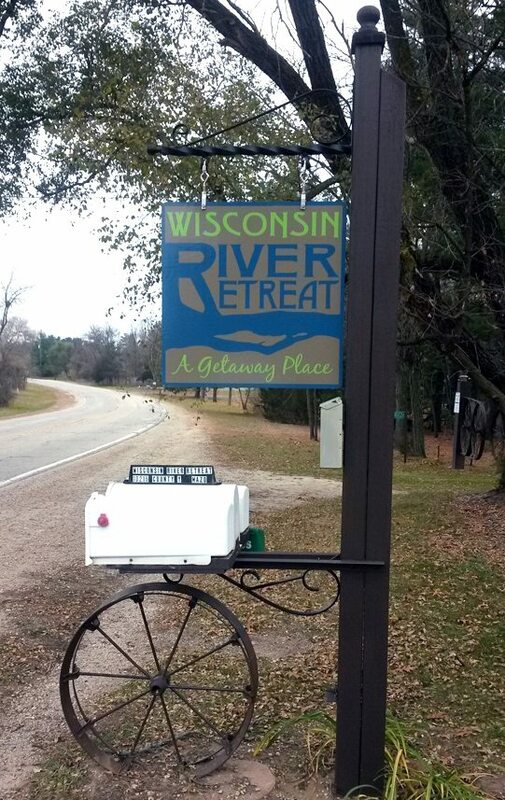 Welcome to the Wisconsin River Retreat! The gathering space features a red granite wood burning fireplace to make your cold winter evenings cozy. 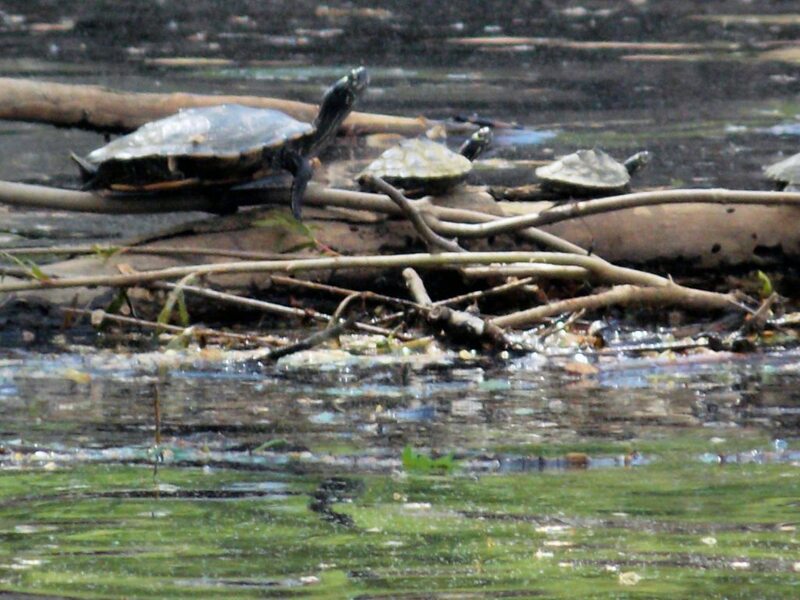 To escape the summer heat you can turn on the air conditioning or sit on the riverbank and feel the breeze. 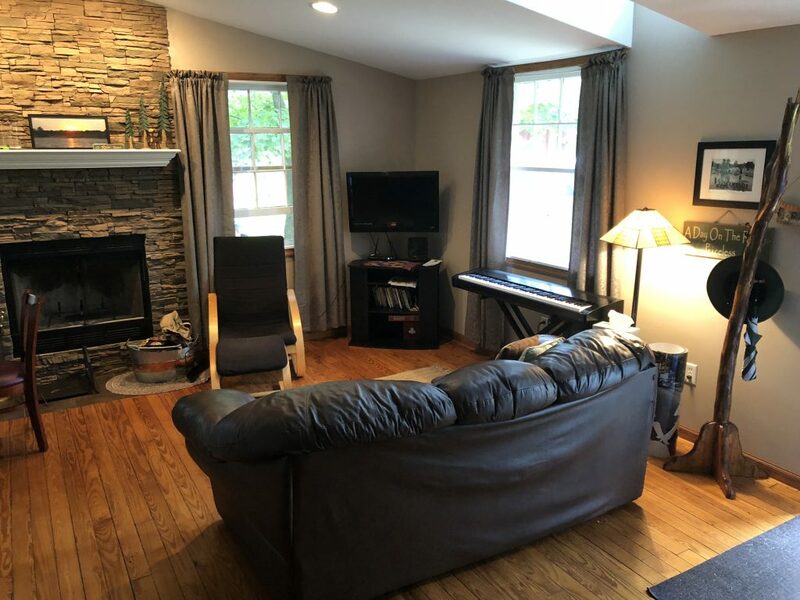 There are some books, games, and DVDs to enjoy. 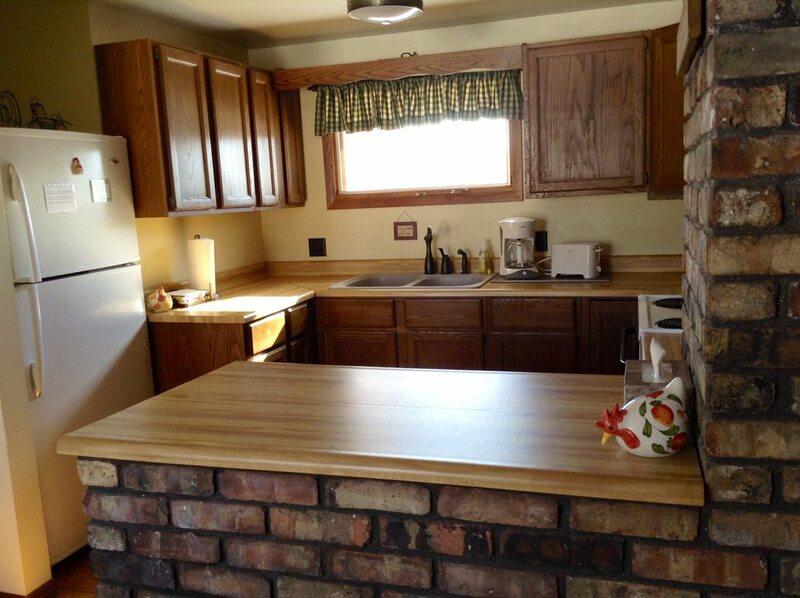 The fully furnished kitchen has everything you need to fix some quick meals: stove, refrigerator w/ freezer, microwave, toaster, coffee pot, dishes, pots/pans, utensils and kitchen linens. Eat in at the table or on the shaded patio furniture. You could, also, grill your meat on the Weber. 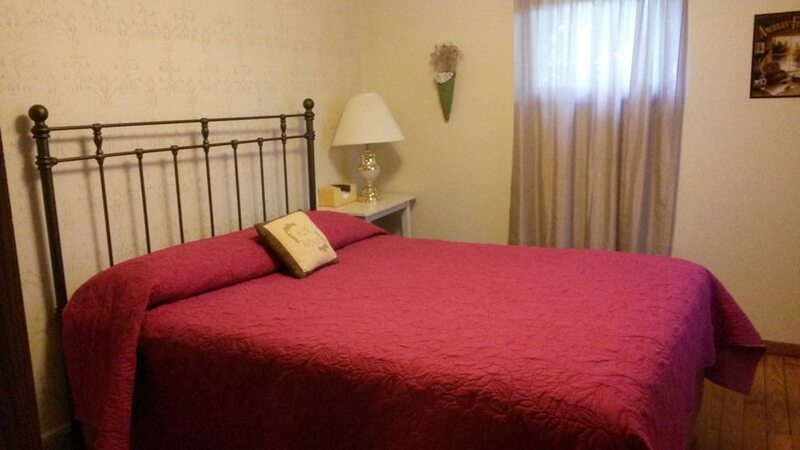 You’ll find a double bed in the front bedroom, and a queen bed in the bedroom facing the river. 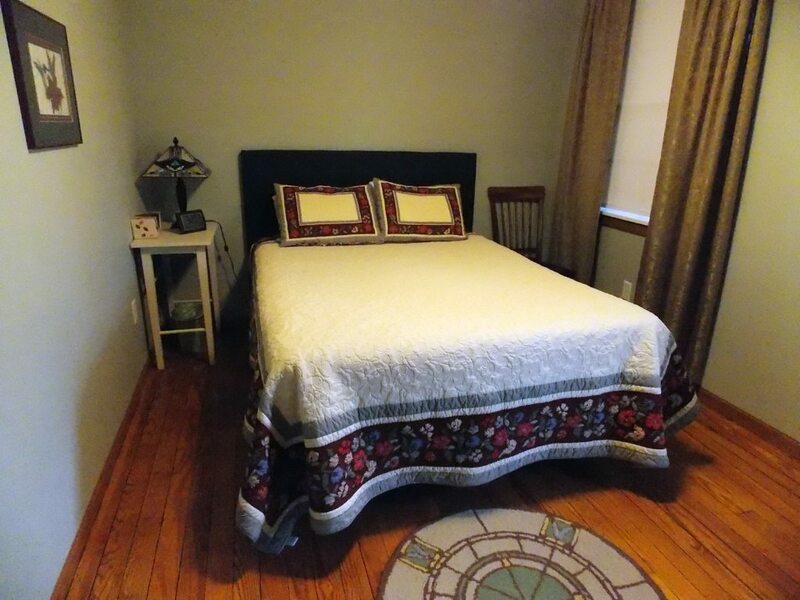 Bed linens, sheets, blankets, pillows and quilts provided. 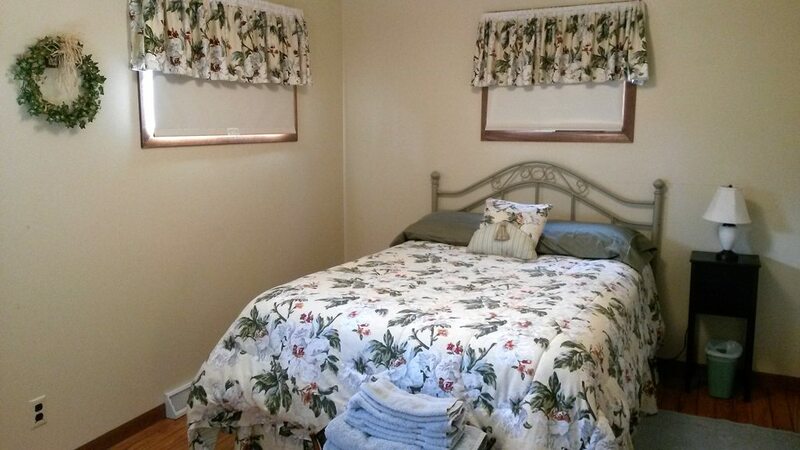 You’ll find a set of towels (for inside use) provided for each guest in the full bathroom with the shower in the tub. 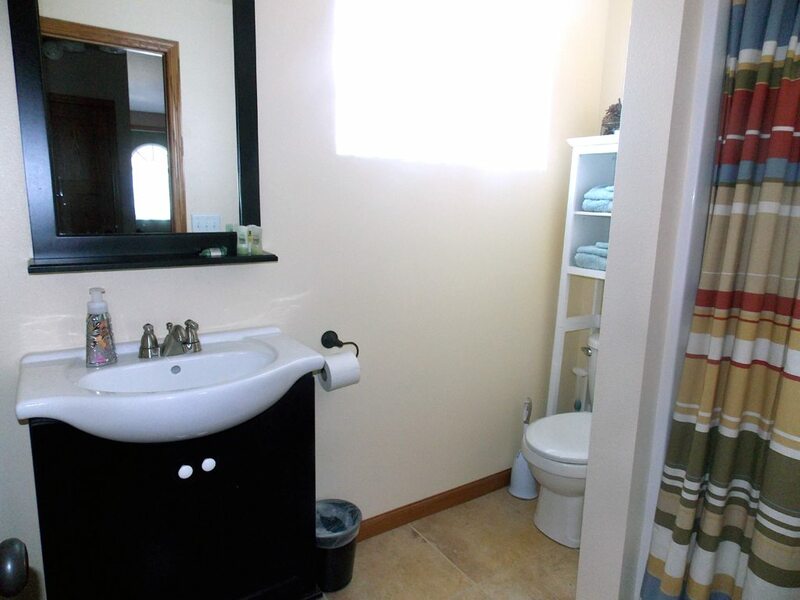 You’ll find a washer and dryer located in the basement for your convenience. Click on the initial date and move the mouse to select the ending date. To select days spanning over two months, hold control key (command key on Mac) down while selecting the beginning and ending date. Click on any date to reset selection. 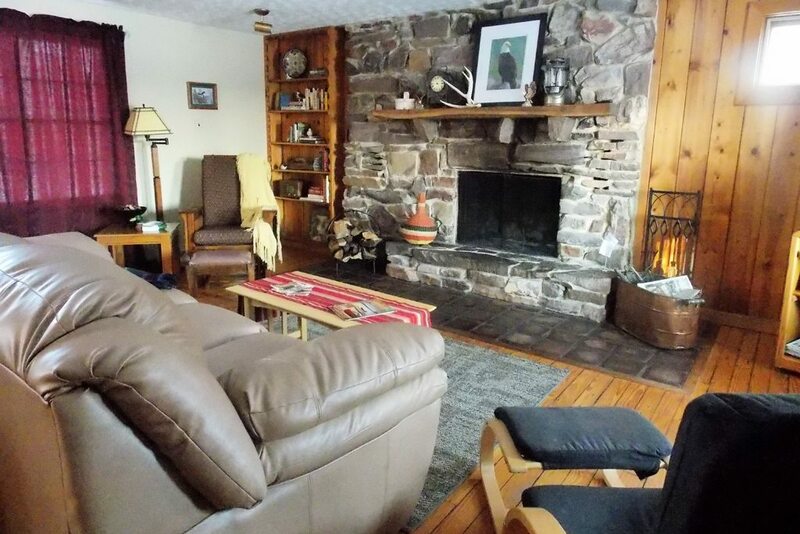 Sandwood’s stone fireplace rises to the vaulted ceiling. 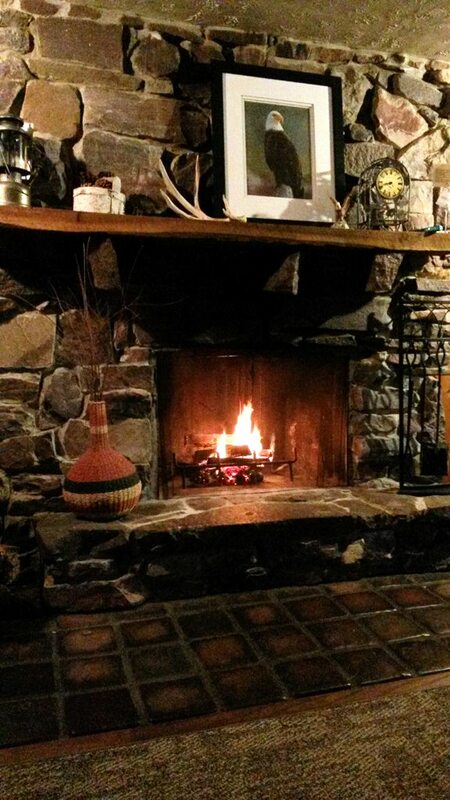 Enjoy a book, movie or game by the wood burning fire. Air conditioning cools the place in the summer. 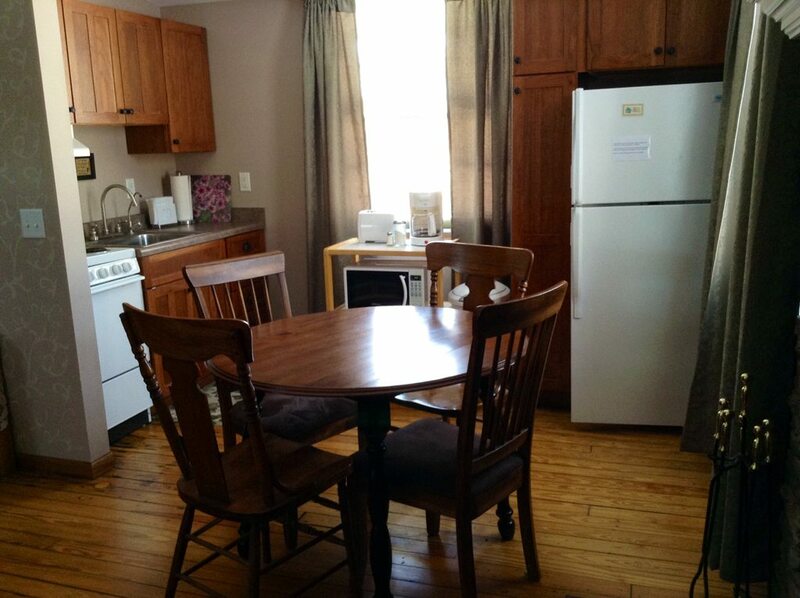 Even in this smaller space, Sandwood offers a fully equipped kitchen with small stove, refrigerator, microwave, toaster, coffee pot, dishes, pots/pans, utensils and kitchen linens. 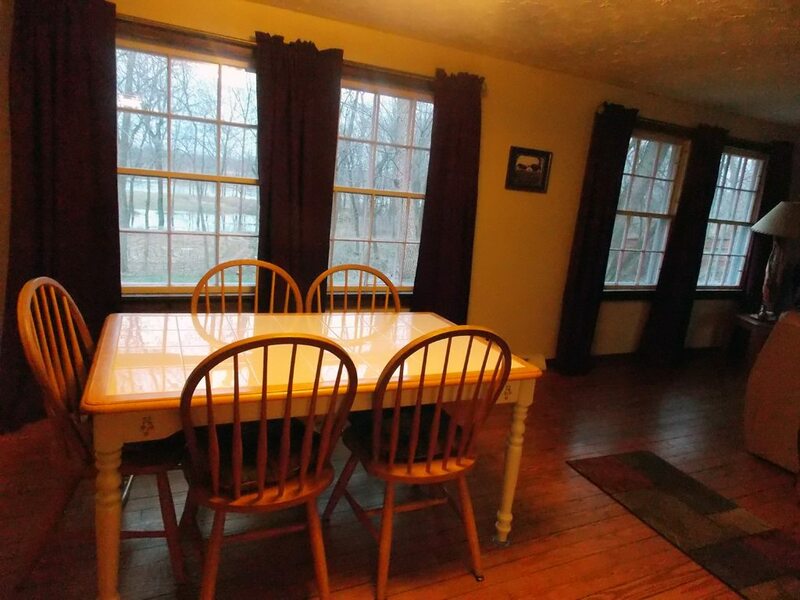 Eat in at the table or on the shaded patio furniture. You could, also, grill your meat on the Weber. 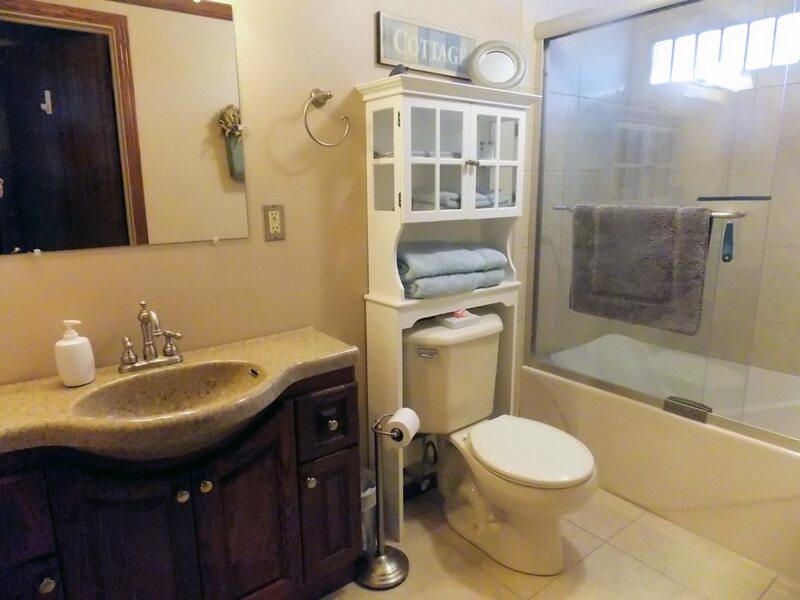 This cottage has a ¾ bath with a set of towels for each guest provided for inside use. There is access to a washer and dryer in the basement of Redstone. 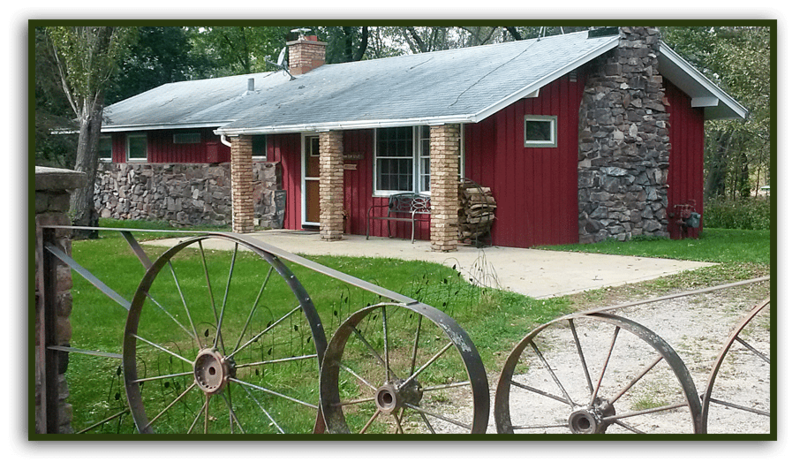 Call (608) 370-1494 to reserve a cottage for your desired time. Payment accepted online via PayPal, Venmo, or credit card. Come and enjoy your time with us! By placing a reservation with us you accept these policies: Campfires allowed only in our fire rings. Garbage pick up provided. Garbage pick up is 6 am on Thursdays unless there is a holiday during the week. Then garbage pick up is Friday. Place garbage can and bagged recyclables by the mailbox. 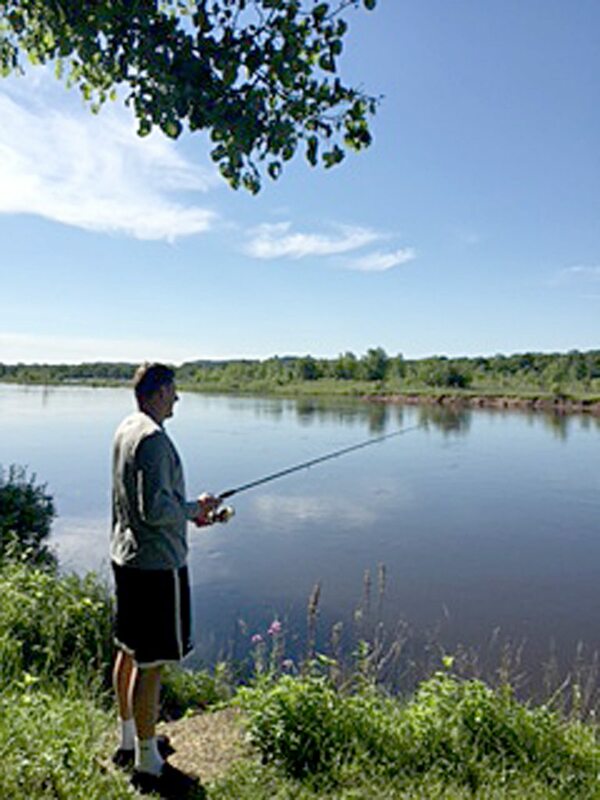 To fish on the Wisconsin River a fishing license is required, which can be purchased locally. 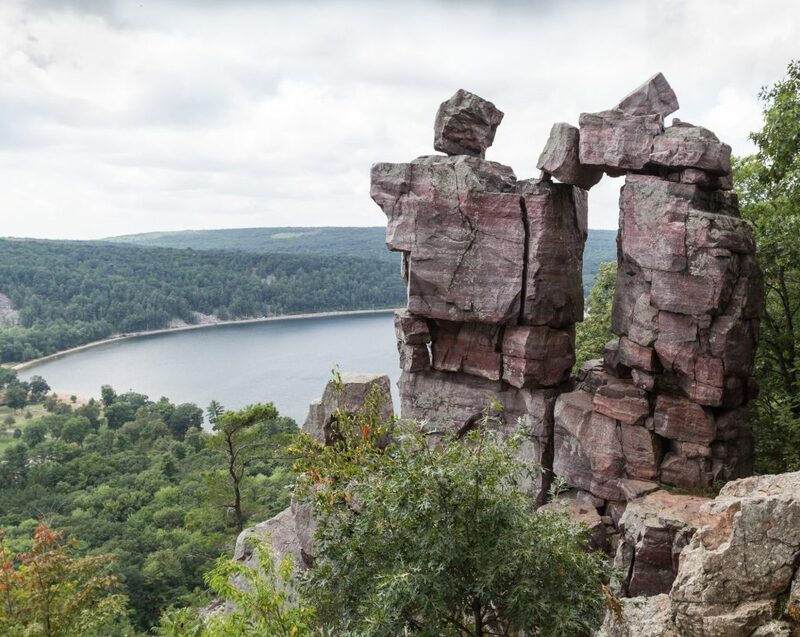 Wisconsin River Retreat reserves the right to refuse service to anyone. We will not be held responsible for accidents or injuries to our guests. For an additional $200 fee, well-behaved pets are allowed. Please pick up after your pets outside and deposit refuse enclosed in a baggie in the outside garbage. 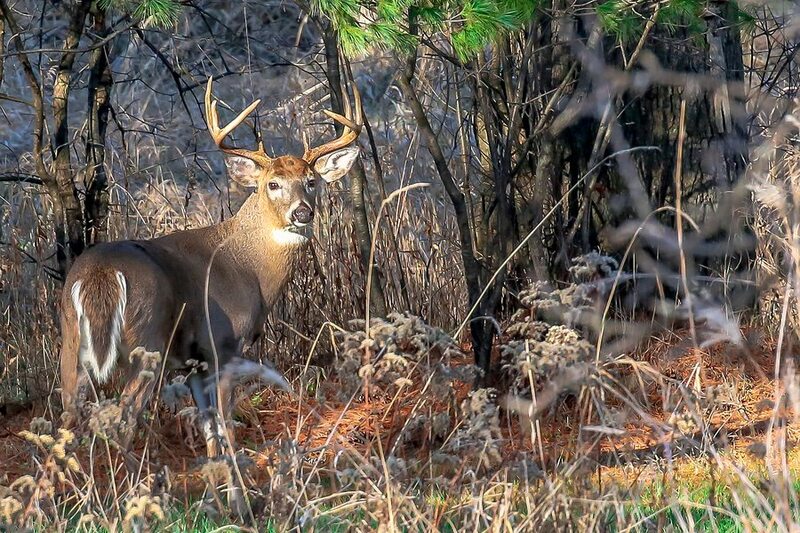 If you can coax your pet to do their duty in the woods just leave it for fertilizer! 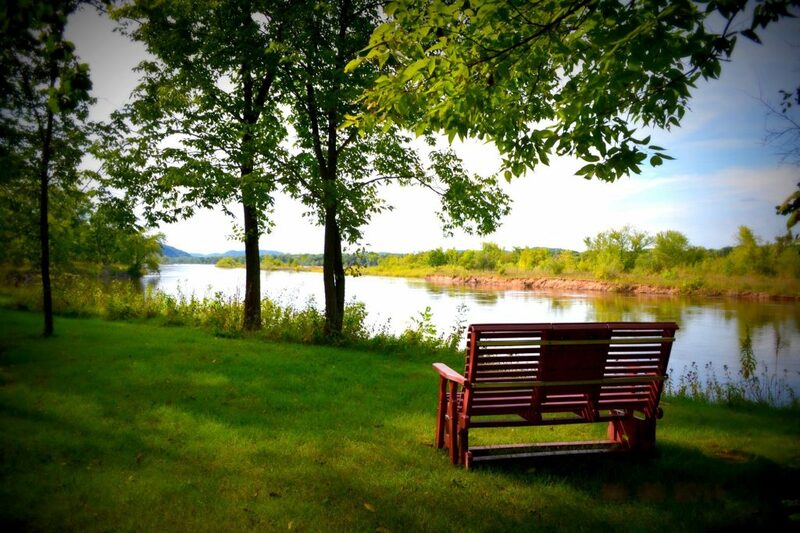 Only those who you register when you make your reservation (up to 4 people) are able to stay at Wisconsin River Retreat during your time with us. Sorry, no additional guests are allowed. You must be 25 years old to rent a cottage. 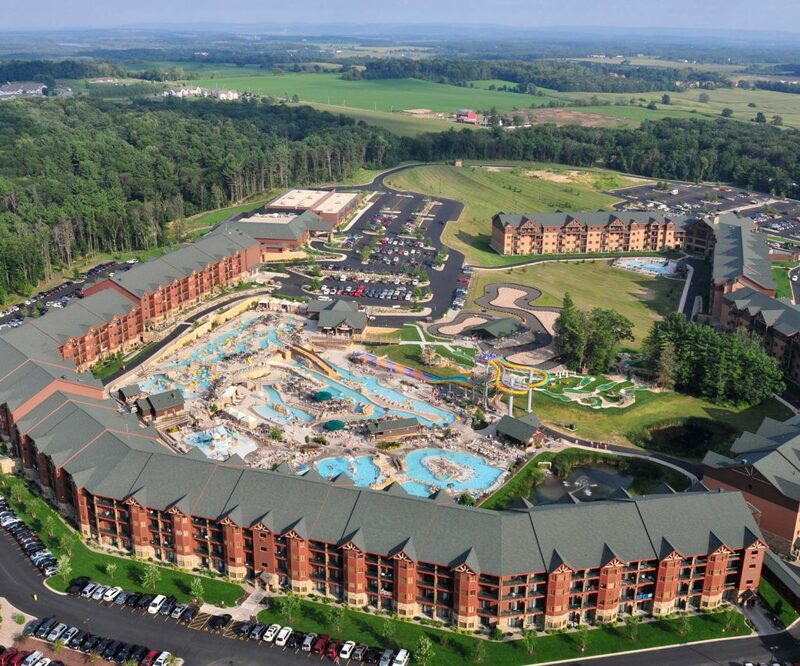 Bookings canceled at least 30 days before the start of the stay will receive a 100% refund. 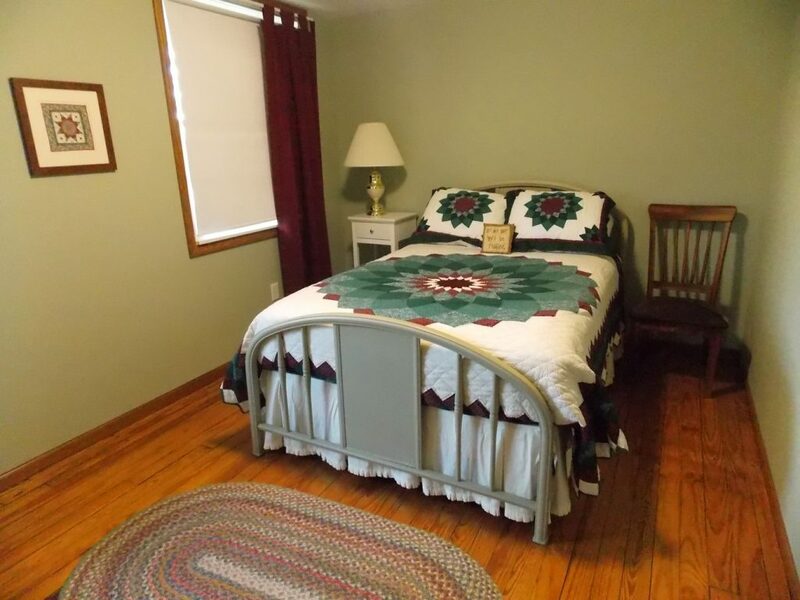 Our cottages are fully furnished and located on the Lower Wisconsin Riverway. 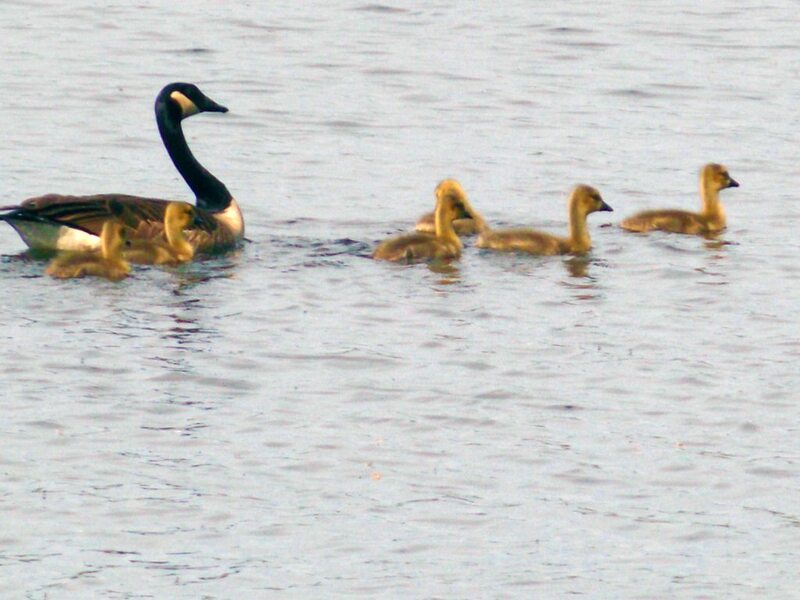 Water access – carry your own canoe or kayak to our backyard shoreline. 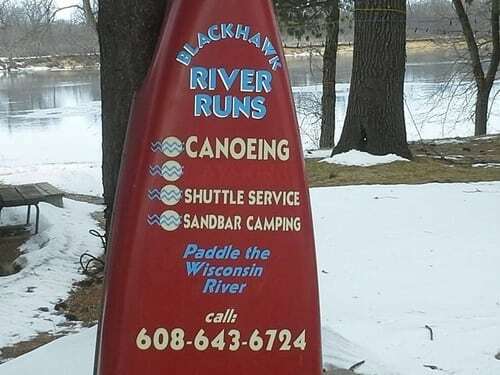 Just one mile east on County Y to Blackhawk River Runs Canoe Rental and the public Boat Landing. DSL 25 mbps WiFi included. 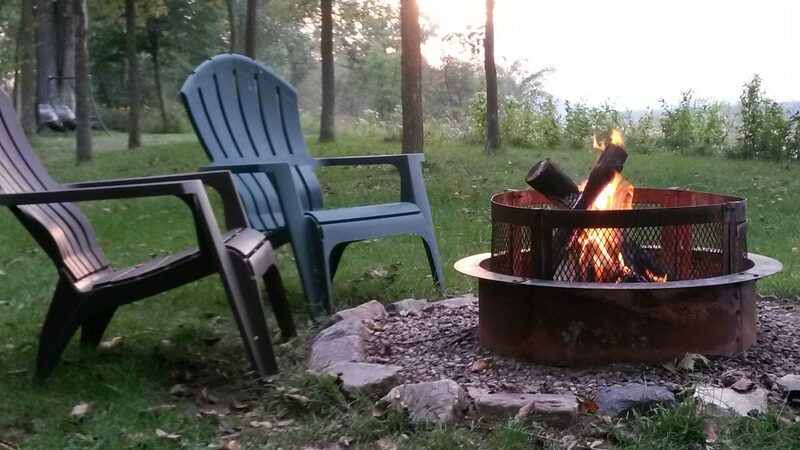 Fire pit and riverside seating. 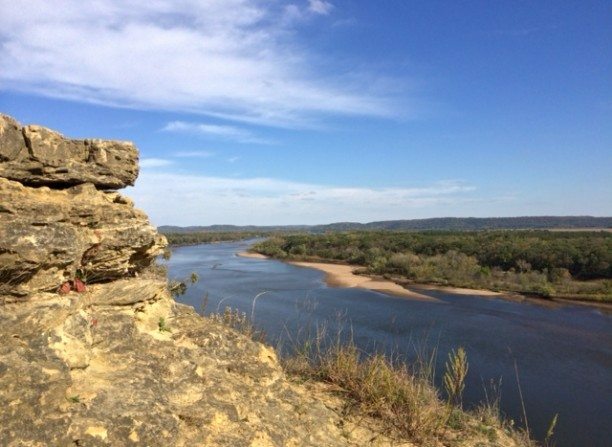 Experience the atmosphere of the Wisconsin River, try your luck at fishing, hunting, rent a canoe or watch the eagles. Cameo Antiques – 3 floors of antiques! McFarlanes’ True Value Hardware – Gardening supplies, fishing licenses and so much more! 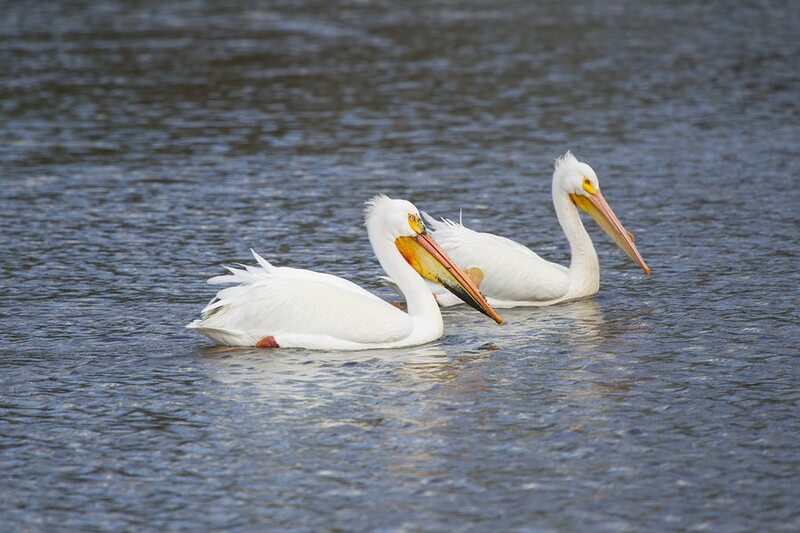 Hike to the pond in the early morning to spot sandhill cranes and waterfowl. 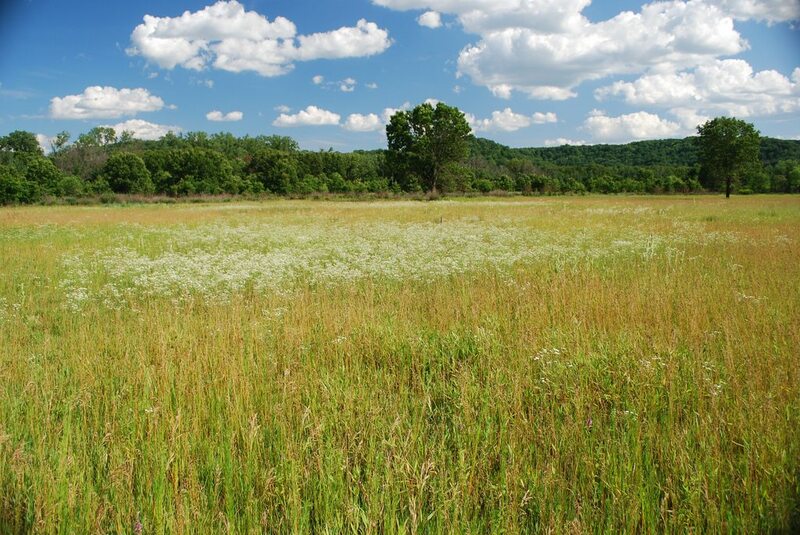 500 acres to explore by hiking trails. 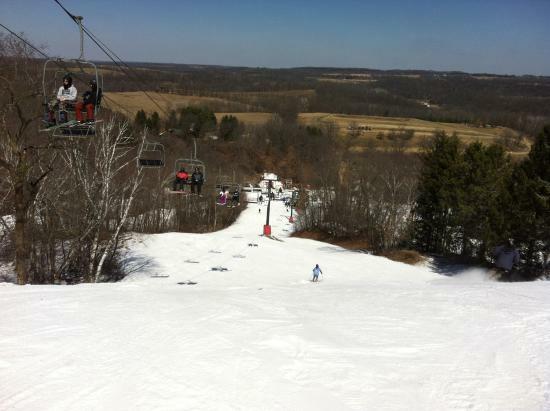 An abundance of trails exist in the Riverway and a wide variety of activities are available for enjoyment. 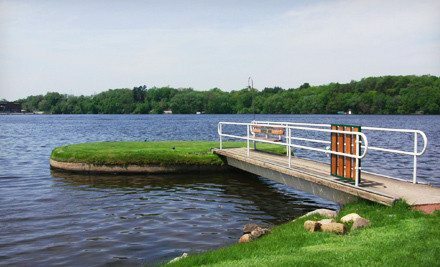 If you play golf in Wisconsin, try Lake Wisconsin Country Club. 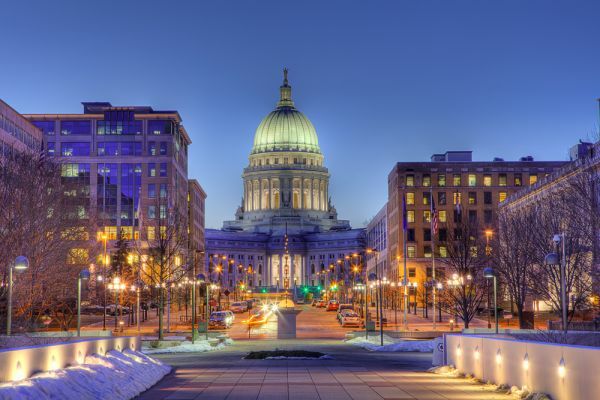 Located on Lake Wisconsin, the panoramic views along with the challenging par 70 course make for a great golf experience for players of all abilities. 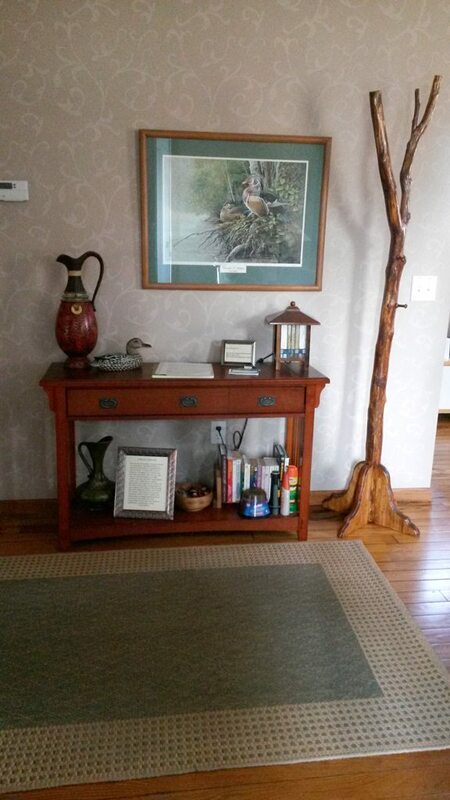 Rent a Canoe about 1 Mile away from Wisconsin River Retreat. 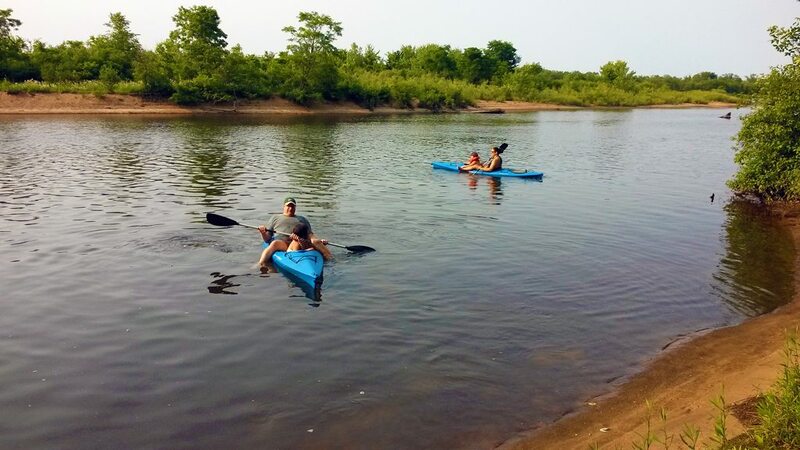 The Wisconsin River is an excellent pathway for any Canoe or Kayak use. Ask them about Delivery of the Canoe to the Cabins, they are great to work with! Shuttle Service also Available. 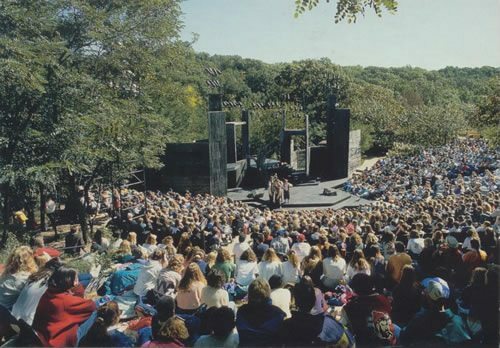 Located on a scenic hillside across the Wisconsin River from Prairie du Sac, Wisconsin. 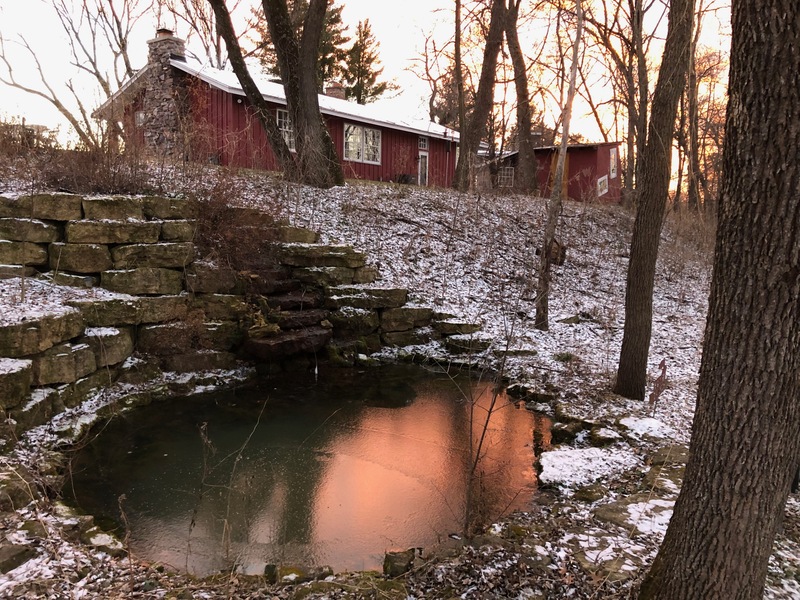 Created in the 1840s, Wollersheim Winery has developed into a leader in the Midwestern wine industry, winning numerous awards throughout its storied history. The Wisconsin 400 State Trail is located between Reedsburg and Elroy. 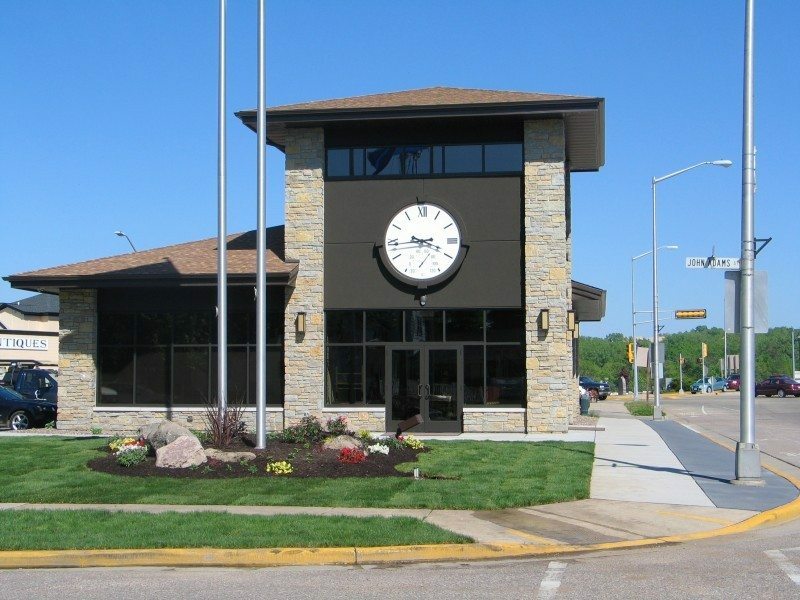 Communities conveniently located along the trail between Reedsburg and Elroy are La Valle – 7 miles from Reedsburg, Wonewoc – 7 miles from La Valle; and Union Center – 4 miles from either Wonewoc or Elroy. 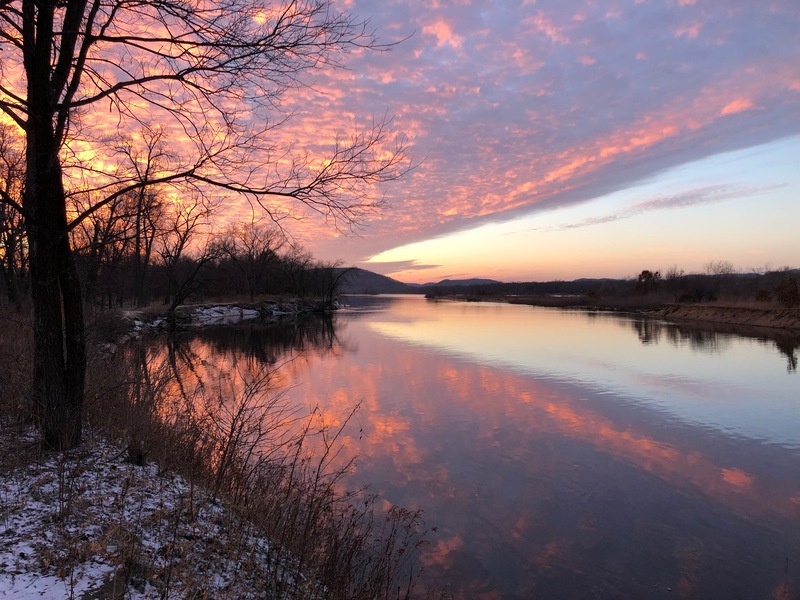 The 400 State Trail offers beautiful scenery, bountiful wildlife, sandstone outcroppings, rolling farmland and runs parallel with the Baraboo River. 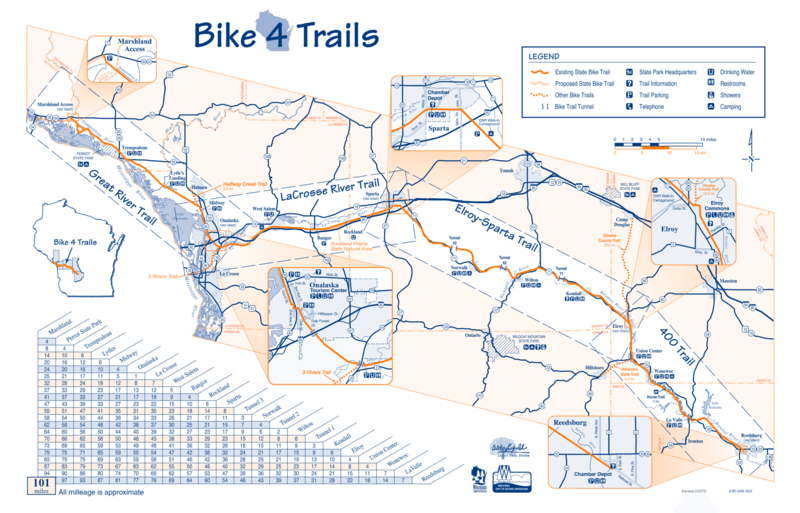 The 400 State Trail is a true 4 Seasons Trail.